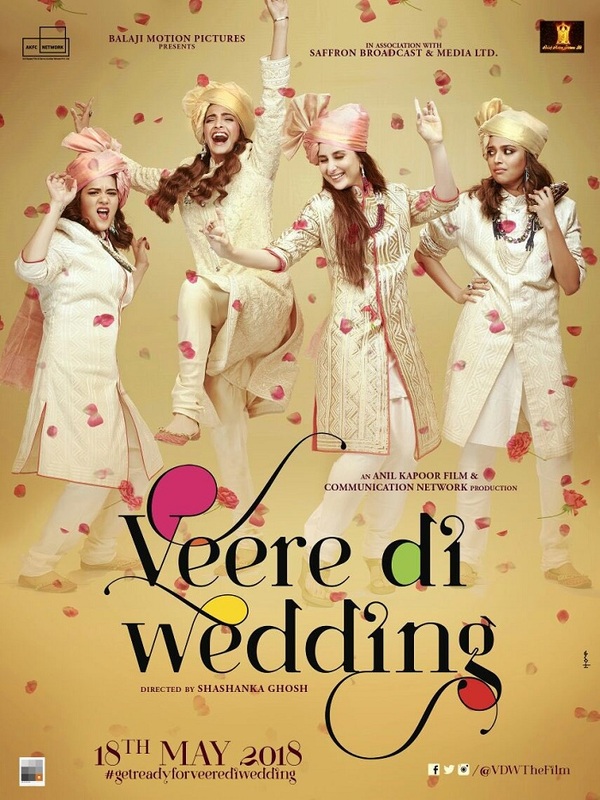 Veere Di Wedding Official Movie Poster with Release Date. Here is presenting Official Movie Poster of upcoming Bollywood movie Veere Di Wedding starring Kareena Kapoor Khan, Sonam Kapoor, Swara Bhasker. Film is directed by Shashanka Ghosh and produced by Ekta Kapoor and Rhea Kapoor. Film is slated for release on 18 May, 2018. Golmaal Again had very good collections on Tuesday as it grossed around 13.25 crore nett apprx. The drop is around 15% from Monday which is a little bit more than normal but that is because some part of the country is coming out of holiday season every day. It will not be until Friday when things are back to normal. There will be another drop today as Gujarat comes it is extended Diwali holiday but it will still be a partial holiday in the circuit till Friday. The main thing the trend is strong in places like Delhi city and Punjab which have no holiday benefit and are as normal. These places were steady on Tuesday. The collections of Golmaal Again till date are as follows. The first week should go to around 137 crore nett but it depends on the drops in Mumbai circuit over the next two days as that circuit is doing 45-50% of the all India business at the moment due to the Gujarat / Saurashtra belt.